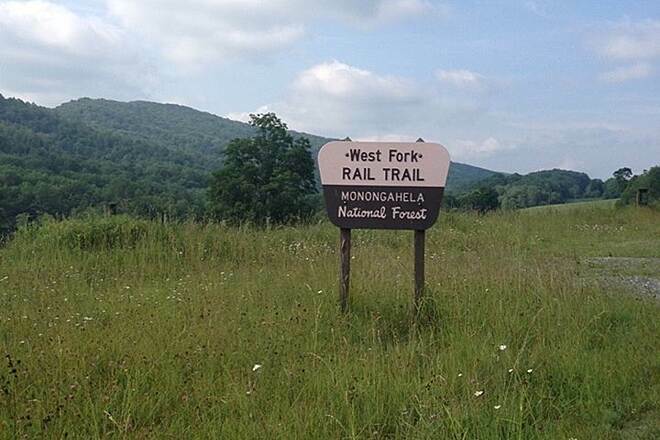 The West Fork Trail is a pleasant 22-mile trail that snakes its way through a remote mountain setting and follows the West Fork River for most of its route. 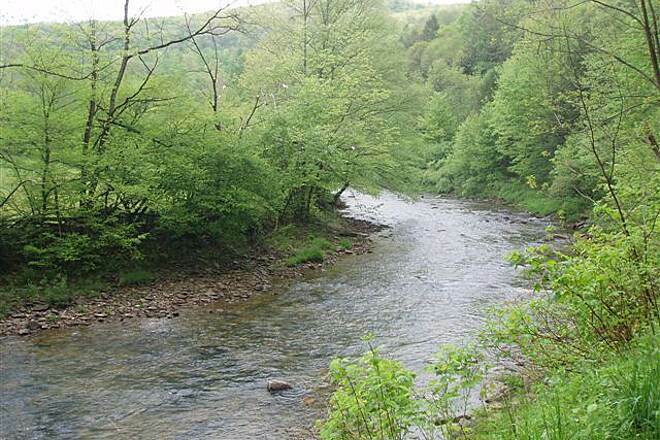 The soothing rumble of the river complements the trail's serene environment. This is a great path for biking, but the surface is primarily ballast left over from the rail corridor, so leave your road bike at home. 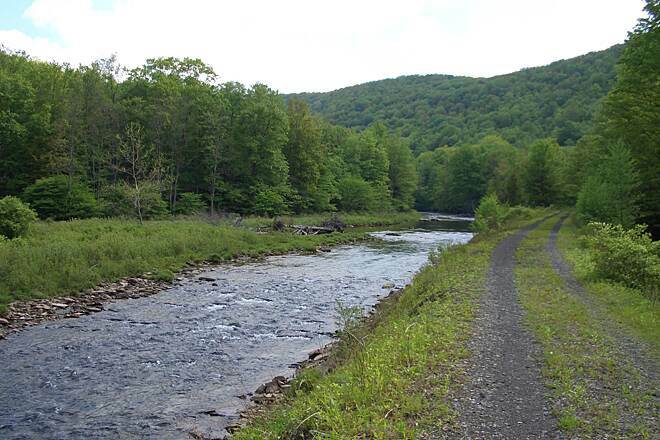 To reach the northern trailhead from Elkins, take US 33 east and make a right onto County Road 27 (Glady Road). 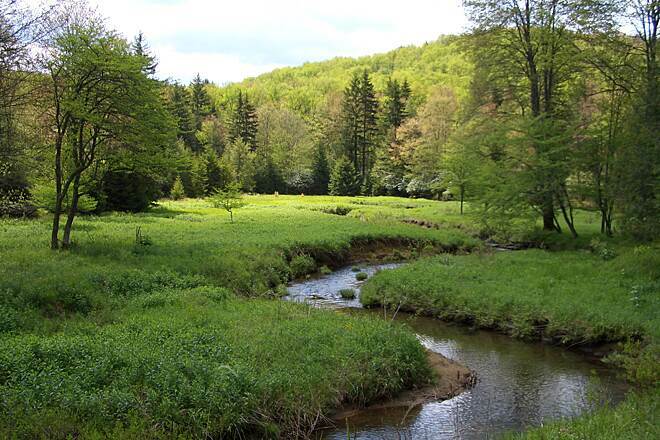 Follow it for approximately 10 miles to the town of Glady. When you come to the intersection of Glady and Elliots roads, continue straight on Glady through the stop sign and follow the road for approximately 0.25 mile to where it dead-ends. The trailhead will be directly in front of you. 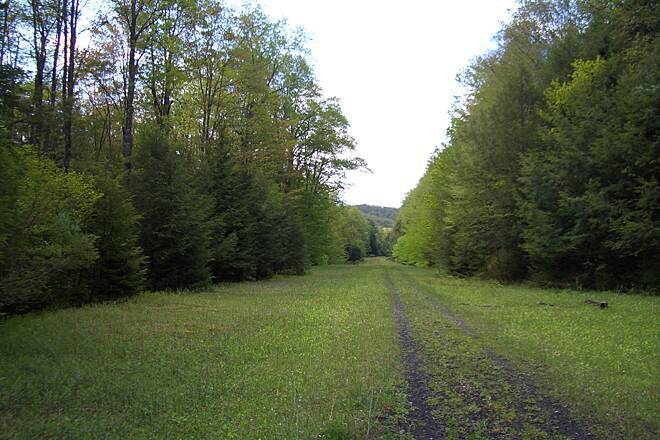 To reach the southern trailhead from Elkins, take US 219 south to Huttonsville. Merge onto US 250 going south and follow it all the way to Durbin. 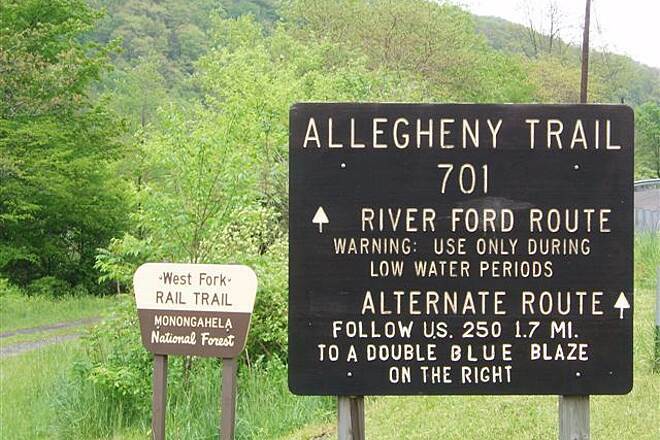 Look for the trailhead on the left about 1 mile before you reach the town. Trail needs some maintenance. Would be nice if it was maintained from both ends. Grass is starting to overtake the trail. It is an enjoyable ride - started from Clymer but as we reached the mid point we should have brought weed whackers. Tried to ride this trail on 5/31/17 starting in Durbin. Had a nice chat with a local while gearing up. First quarter mile was good, then the overgrowth started. Further I rode, the worse it got. At around mile 7 it really was out of control, but I rode on. Around mile 8 there was a blowdown to climb over. The growth was seat high at this point. About mile 9 it was a single track ride and could not see the trail, just a path in the "grass". I turned around as I like to see what I'm riding into, and could not. A big disappointment. It was not worth the drive to get there. Don't bother. 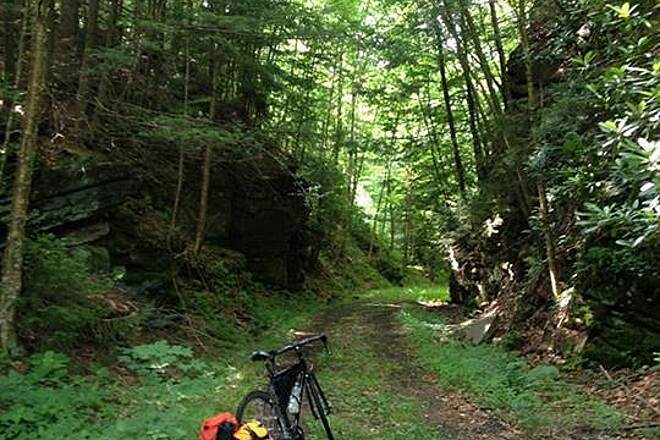 Ride the Allegheny Highlands Trail in Elkins instead! This was my first time on this trail although I had heard about it for a number of years. My friend and I decided to ride it October 24th, 2015 on a cool cloudy day. After checking out the grade and because we were riding the 22 mile trail out and back, we decided to start in Durbin and ride to Glady and back. This was a good choice in our opinion, get the longer climb out of the way first. The trail has been recently mowed in the middle however when trying to stay in the two main tracks the overhanging briers and bushes will force you into the grassy portion of the trail although I didn't find it very annoying. The only problem is the grassy area's are a bit moist, thus slowing you like someone slammed on the brakes. Be prepared for a good workout but I found the scenery was worth it. Note: toward the northern end for about the last 7 miles they appear to be now mowing the sides of the trail as well and we saw the tractor with a flail mower unit attached and the sides of the trail had been mowed from there to Glady. This will be great if they go ahead and finish all the way to Durbin. With it being a bit moist in the grassy areas, and there are a few of them as well, just plan on it taking longer than usual to pedal the distance. We stopped a few times for photos and to partake of a few apples that grew along the trail, however it still took my friend and I nearly 5 hours to do the 44 miles, this included about a 15 minutes lunch break at the Glady trail head. That was about an hour more than we expected but had allowed plenty of time. We are both strong riders and were on mountain bikes converted to gravel grinders. This is a beautiful trail and my friend and I both feel in the spring when all the laurel and flowers will be blooming it should be amazing. We now plan to try it then as well. 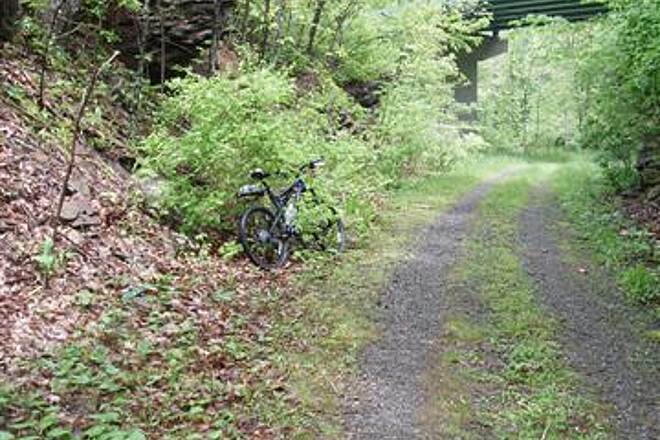 I only rated this trail with 4 stars because it could be better with a little more maintenance however if you are used to kinda tough rail trails this one is a must. Rode this in September from north to south on a loaded touring bike with 38" knobby tires. The first few miles are uphill, then the rest downhill to Durbin. I was surprised to find the surface is in really good shape, the scenery beautiful. The trail feels really remote, and though a road parallels it the whole way, there was no sound of traffic. I didn't see a lot of wildlife but I'm sure there is plenty. I can imagine the mosquitoes might be bad mid-summer but I had no problems that way. 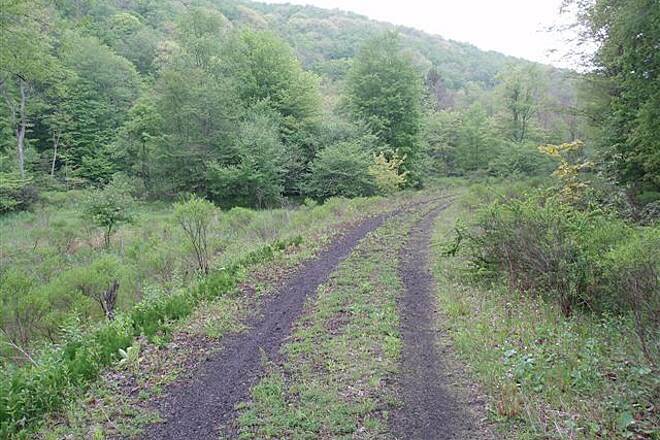 The track is getting overgrown, especially in the middle reaches. Only thing it really needs is whacking back the shrubs and trees that often impinge on the pathway. I would give it 4 1/2 stars. Semi scenic. Not well maintained. I started on the northern most end in Glady. The parking lot is easy to find since the road dead ends at the lot. There is plenty of parking. 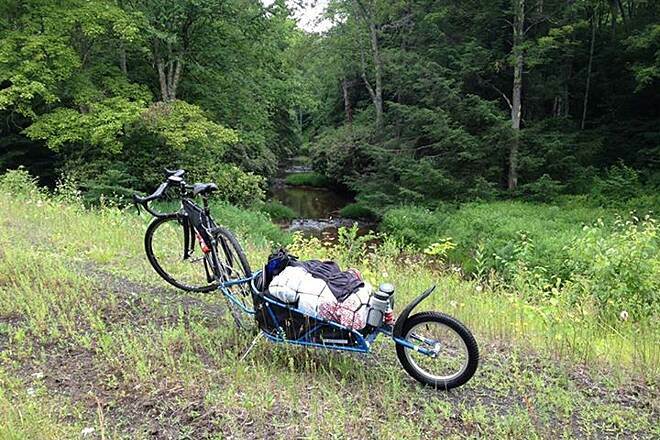 For reference, I was on a cyclocross bike (700x32mm tires) pulling a BOB trailer loaded with all my camping gear. 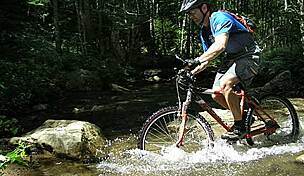 I am a strong rider with mountain bike skills. 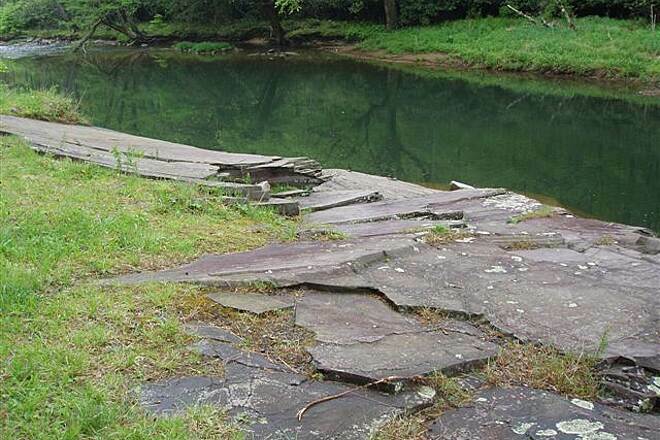 If you plan on riding this trail, it is not for beginners. There is elevation change. 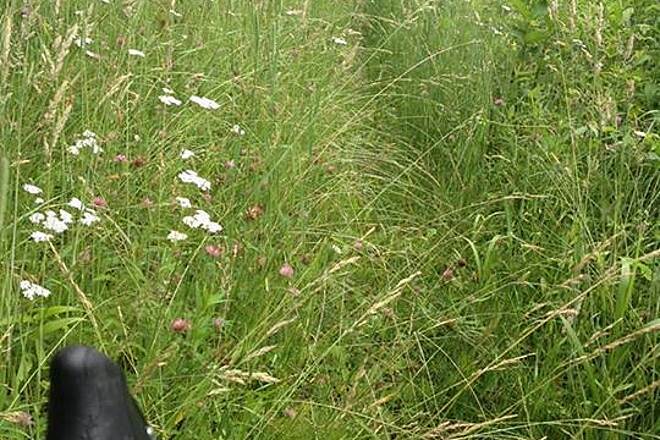 There are many spots where the trail disappears into a sea of grass. I did not see a single other person on this trail. 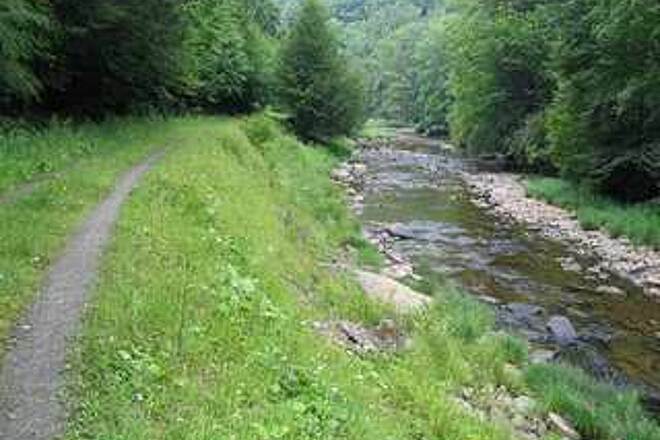 The trail begins on gravel and is used by local farmers to drive between fields. It looked like the grass/trail is maintained/mowed by the locals (thank you). After a few miles the trail gets narrow and the grass/weeds geet deeper. I don't think there has been any trail maintenance for years. I was riding for many miles on sometimes chin deep grass. The surface was smooth. However, there were often times I could not see any trail. It was field after field. A positive...there were no briar bushes! The southern end of the trail ends in a parking area just outside of the town of Durbin. You will ride a short distance on the road (low to no traffic) to reach the "main street" of town. The town is quite nice with 1 of everything you might need. There is a family style restaurant, a bar and a grocery store. I stayed in the East Fork Campground that is literally visual distance from the towns "main street". It was very convenient to walk into town. 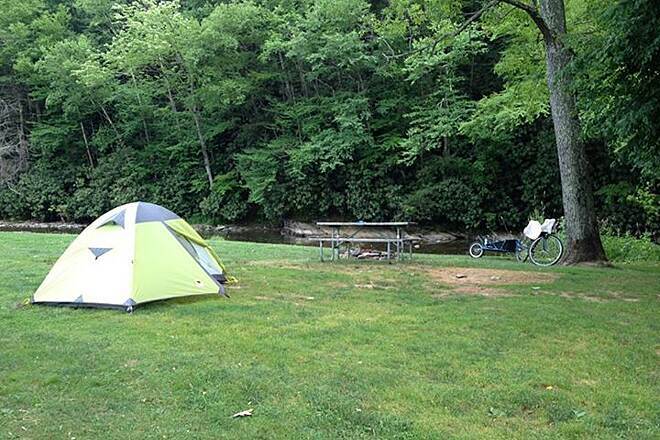 The campground was very well maintained and had clean bathrooms/hot showers. I also took a ride on the Durbin Rocket. 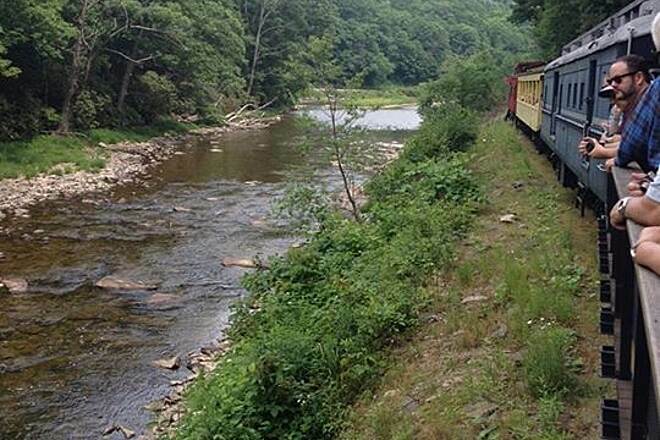 Its a scenic train ride that is well worth the few bucks. My daughter and I rode the West Fork Trail this past Tuesday (8/21). We rode south starting in Glady and rode to Durbin where we were picked up. We rode on a tandem with 700x35 tires. It was a great ride. The trail is secluded. 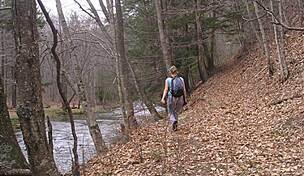 It parallels a forest road and crosses a few other back roads but for much of the way it is just you, the trail and wonderful scenery. The trail surface is rustic but very ride-able. In a couple of places the cinder / crushed stone was a bit soft for the weight of the tandem. On the first part of the trail we pedaled through knee to waist high vegetation. Around mile 13 there had been a number of horses on the trail which made for rough riding. If you plan on riding this trail I would recommend a mountain bike or a hybrid/cycle cross/touring bike with wider tires. In Glady there is plenty of parking but no services. In Durbin parking at the trial head is limited. 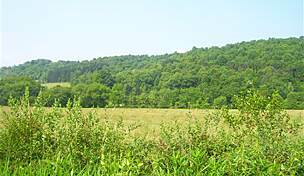 It is a short ride into Durbin from the trail head where there is a grocery store. 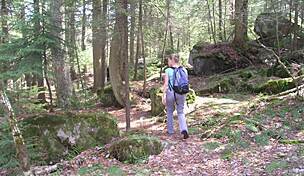 This is a remote and scenic trail that is especially attractive in the fall. 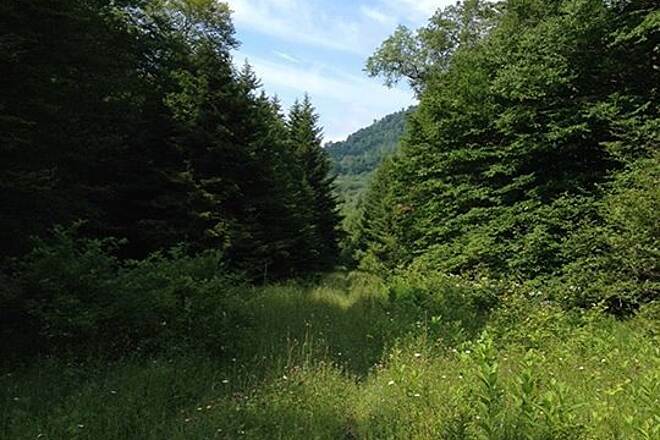 The fall foliage can be gorgeous toward the northern end, and the wildflowers and other flora along the entire length of the trail stand out compared with most trails. The river views are good. 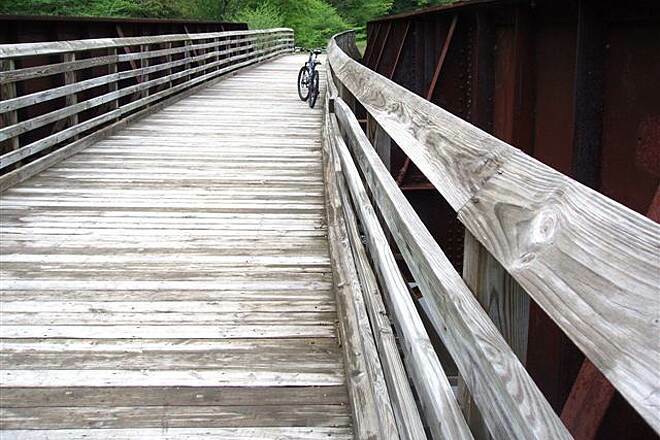 The trail surface varies in quality. Some stretches are good, others are rocky, and some are a little soft. There are limited services at Durbin and none at Glady. An excursion train runs from Durbin to the High Falls of the Cheat River. 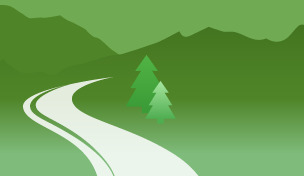 A quiet Forest Service road with a good unpaved surface that runs roughly parallel to the trail offers potential for an out-and-back loop. 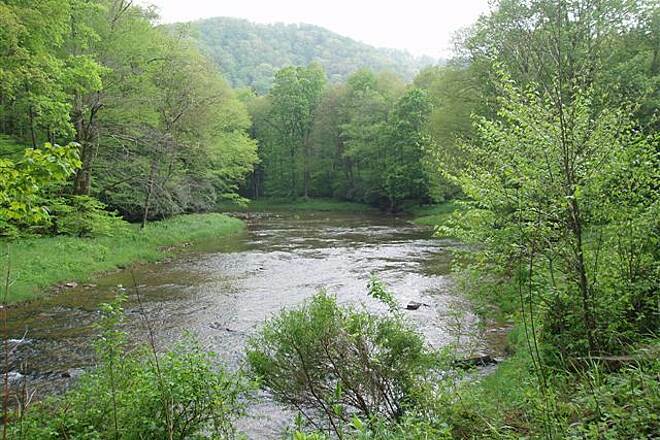 "After a beautiful drive from Charlottesville, VA, by mid-afternoon we arrived in Durbin, WV during a light rain. Durbin is a tiny town with very limited motel facilities, so we decided a short walk under umbrellas would be much more fun than a thirty mile bike ride in the rain with no hot shower at the end. 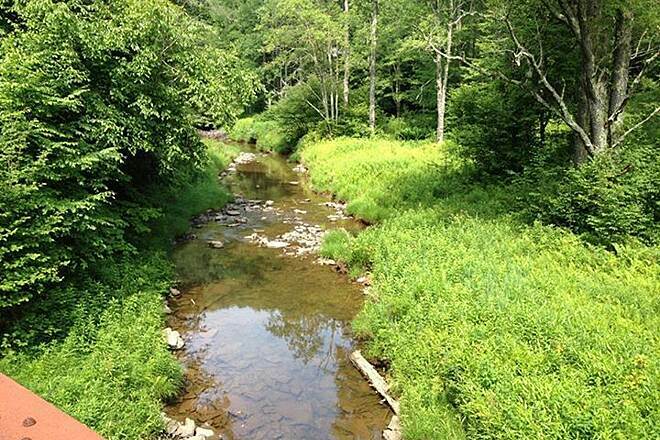 Elkins, WV, about 30 miles north of Durbin, has a number of motels to choose from. The trail head is easy to find on the west edge of this small town. There is a small, undeveloped, but quite adequate parking area at the trailhead. Only one other vehicle was there during our stay. The rain ended during our walk and left us to appreciate one of the prettiest trails we've seen on this trip. 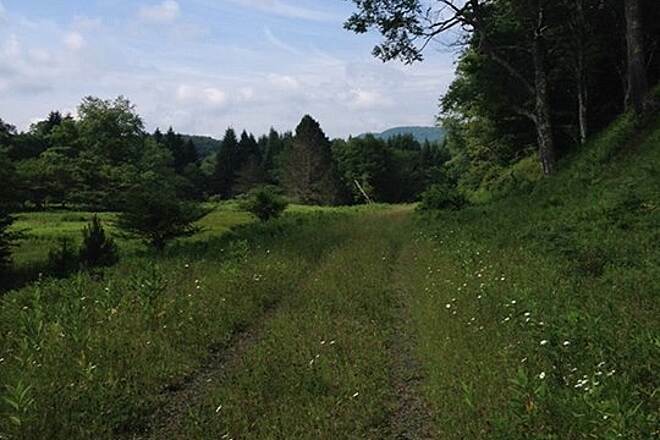 The trail has no improvements, and grass grows between the tracks, but the surface is surprisingly smooth, and would be an easy ride on mountain bikes. We saw enough of the trail to know that it will be worth the trip the next time we head east from Colorado. 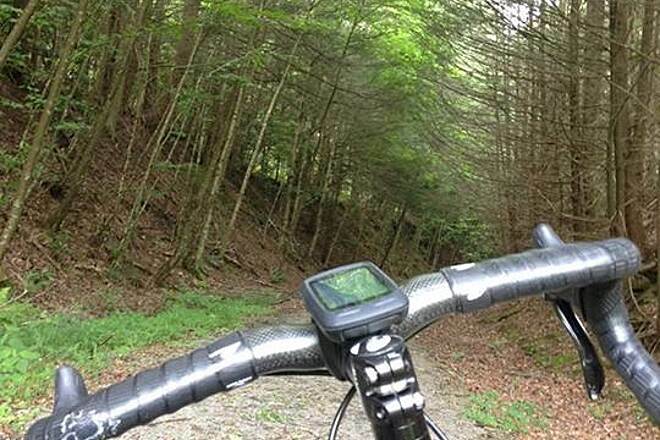 It is only one of three excellent trails we've ridden in West Virginia this fall." If you want the most beautiful and remote trail...this is the one! "Starting out from Durbin, we made it less then 5 miles before the skies opened up on us. Fearing that we might drown like chickens, we exited onto the adjacent USFS road & headed back. That's just about when my buddy lost the pin that holds the lower cog on his derailler. Thankfully, a local in his pickup gave him a ride back to Durbin. 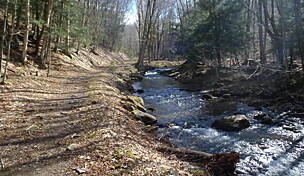 Although hilly, the USFS rode makes a nice ""loop"" alternative for the return ride from Glady (which we never made). Trail is definetily remote, and we shall return. 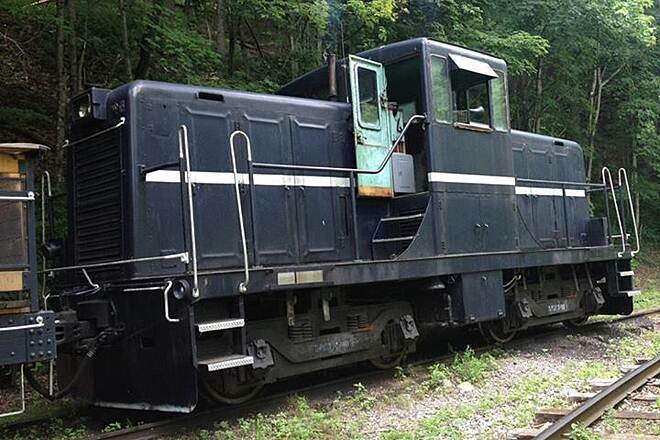 Also, the excursion train out of Durbin looked real cool too!" "If you want to escape from urban life, then this is your trail. You will likely be alone for the entire trip. Glady post office will likely be your last contact, take sufficient water and repair supplies. Cycled the trail last week and saw only 2 campers the entire length. 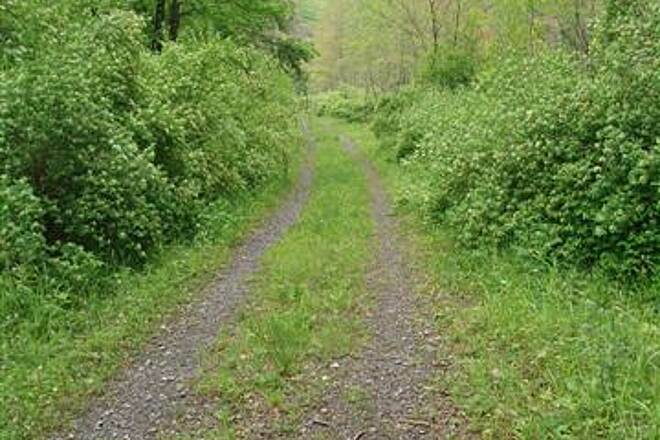 Trail is smooth, but overgrown in sections ... cinder and gravel base. " 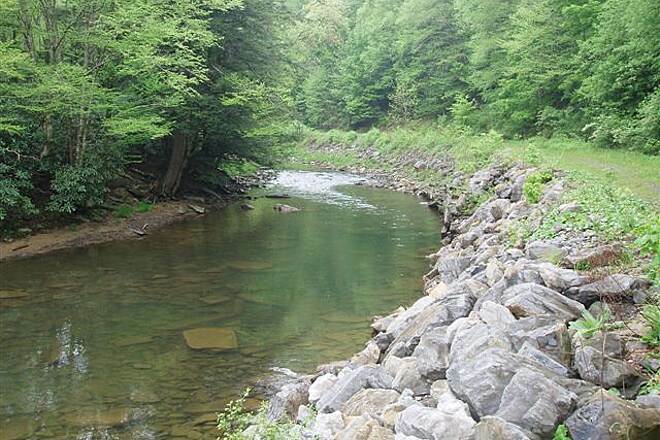 "My wife Pam & I began riding on the West Fork Trail at Drubin, WV. After only a short distance, we realized that it would not be very well manitained. It wasn't! But after another mile or so, we didn't care. 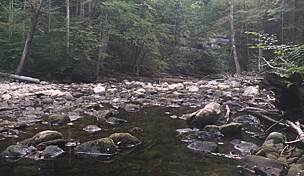 The trail parallels the river for most of the way (approximately 17 miles), and there are quite a few places along the way that looked very tempting to jump in for a swim. We saw a black bear on the trail about five miles north of Durbin. It was about 200 yards away, and when it saw us it took off up into the woods. On the whole ride we saw only five people. One of them was at the north end in Glady. 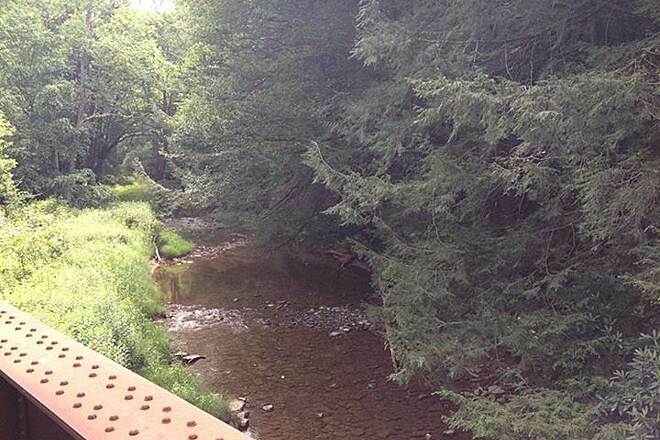 This trail is very beautiful but also very remote. There is a Forest Service road that roughly parallels the trail; it can be seen in several places along the way, and you can hear traffic along it even when you can't see the road. It needs to be remembered that there are no bike shops, grocery stores, gas stations, etc. along this trail. You are totally on your own. Carry plenty of water. If you are on bikes, carry everything that you might need for repairs. It might not be a bad idea to carry extra food, a space blanket and matches, just in case. We rode all the way into Glady. The last four or five miles going north are through mountain pasture land where sheep are raised. It is beautiful. On our return trip we got rained on for the last 15 miles. It was a steady, comfortable rain that felt very good on our sweaty bodies. We laughed the whole time that it was raining. 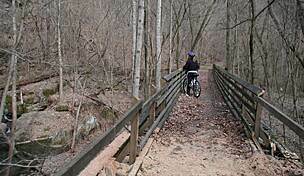 We thoroughly enjoyed this trail and plan to ride it again." I started in Glady and rode as far as I could. I ran in to lots of snow in the more remote areas. I didn't think there would be snow that deep in April. It was a great time. I'll be back!